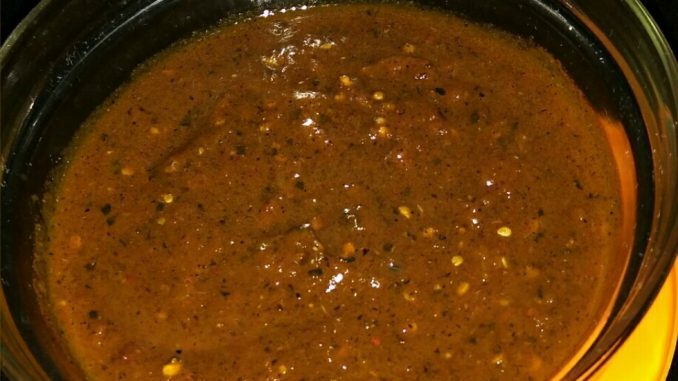 If you want to make tasty salsa sauce, try out this recipe. 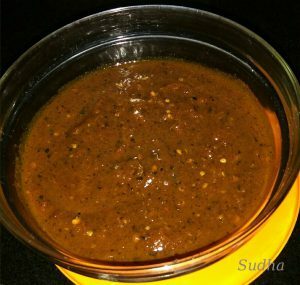 It’s very easy to make hot and sweet tomato salsa. I’ve used tomatoes, onions, garlic and red chillies after roasting them on a tava / griddle. I’ve also used caramelized sugar instead of normal sugar. 2. Chillies will be roasted first; then garlic, then onions and finally tomatoes. Keep turning tomatoes and onions on the tava to roast them from all sides. 6. In a pan, heat sugar on low flame till it turned brown (caramelized). Add oil and the coarse paste. Add lemon juice and salt. Cook for 3-4 minutes. 7. Tasty salsa is ready. 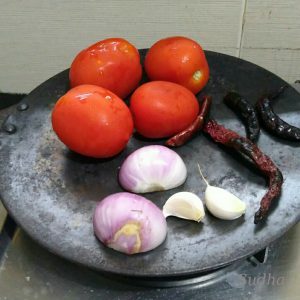 Serve with Parantha, cutlet or tikki. 8. This will last for 3-4 days in refrigerator.